Sail City Locksmiths offer a quick and hassle-free solution! Locked out of Your Car? 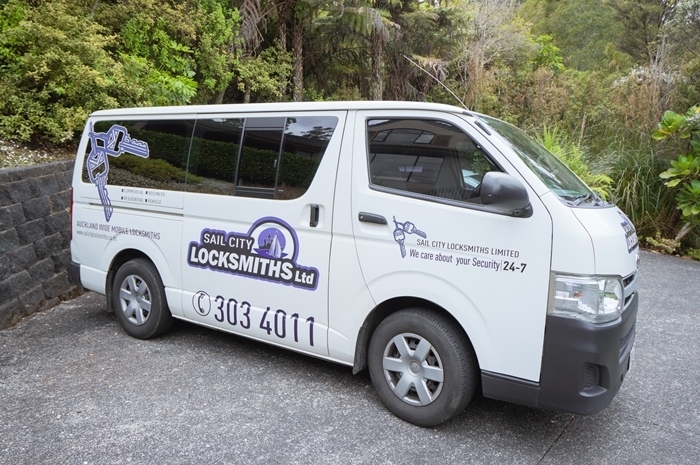 Our Auckland Mobile Locksmiths Are on the Way! Don't wait around for hours, get back on the road quickly by calling our friendly team and we'll send one of our mobile locksmith vans to your Auckland location ASAP — 7 days a week. As a mobile locksmith service we come to you wherever you are in Auckland and can open all types of locked vehicles. Cars, trucks, vans — we have specialised vehicle opening tools, that enable us to quickly unlock your vehicle and retrieve your lost keys. No fuss. No damage. Just a professional, prompt, and efficient service. Call our friendly team now on (09) 303 4011. Talk to us today about the options we are able to provide in Auckland.